Categories: Decorative, Metal Work. 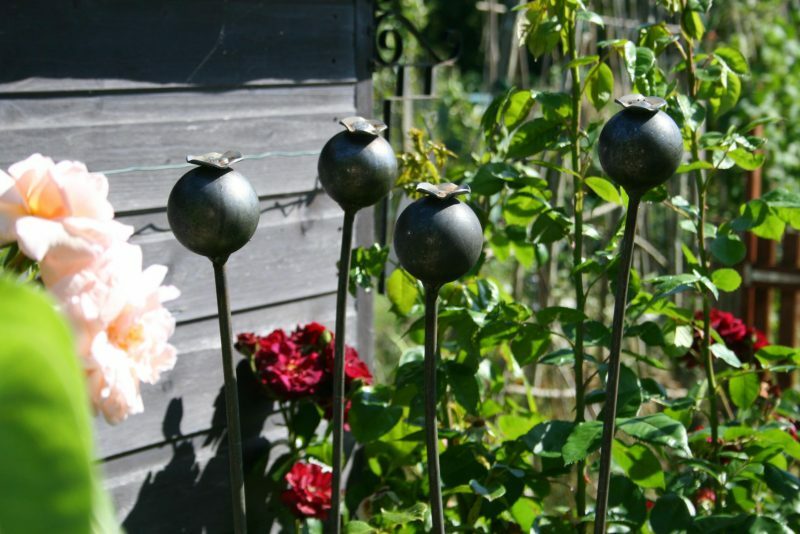 Tags: Handmade, Metal, Plant Support, Poppy Head, Supports. 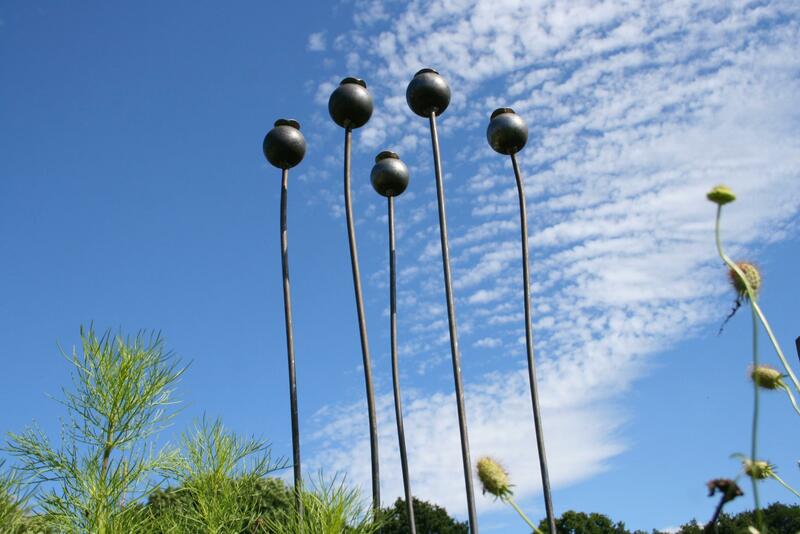 Handmade in Hampshire from solid steel bar with a natural rust finish. The heads maybe supplied as plain steel (just made) or in various stages of rust patina according to the date of manufacture. 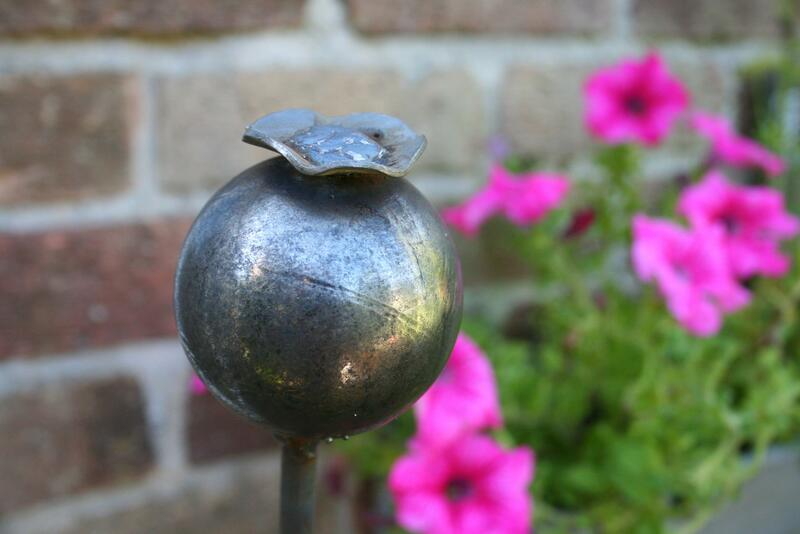 The diameter of the poppy head is 6cm.